France: European sanctions against Russia, and Moscow’s response to them damaged the French agriculture. 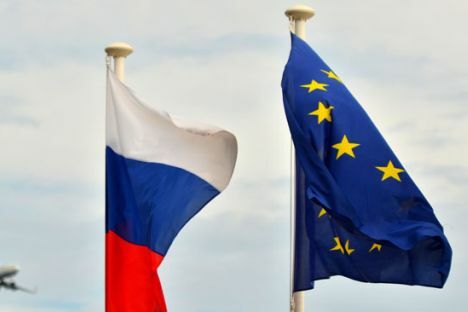 The sanctions, imposed by the European Union against Russia, and Moscow’s response to them damaged the French agriculture, Finance Minister Michel Sapin said. "In recent years, political difficulties in relations between our states have damaged France’s agricultural sector. Our farmers have sustained great losses," Sapin said following a plenary session of the Russian-French council on economic, financial, industrial and trade issues. "We would like to overcome these difficulties. We have to admit that we should not turn a blind eye to the problems that emerge, we need to prepare for bringing the relations to their normal level. We hope that political steps will be made in this direction," he said. In January 2016, the Russian-French council on economic, financial, industrial and trade issues resumed its activities after a pause of more than two years. Sapin said that "despite various difficulties, related to economic and geopolitical problems, the majority of ties remains very strong," citing the partnership between France’s Total and Russia’s Novatek in the Yamal-LNG project as an example. He said that issues of cooperation in space, the area of strategic cooperation between Russia and France, were also discussed at the meeting. "Problems exist here as well, but our enterprises and governments are doing their best to solve them," the minister added.